"The main basis for our protest is that CDC [California Department of Corrections] refuses to implement clear, fair, and uniform standards for accurately determining whether (or not) a prisoner is truly a gang affiliate or found unsuitable for SHU [Security Housing Unit] release based on false, unreliable, or out-right ridiculous information." - Steve Castillo. The CDC would move prisoners from California's general prison population to the SHU, if prison officials determined inmates were affiliated with prison gangs. In the SHU, prisoners served indefinite amounts of their sentences in solitary confinement and were restricted from basic privileges. 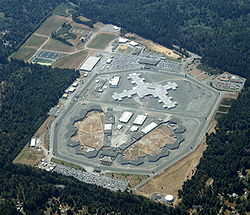 Approximately 700 male prisoners held in solitary confinement in the Security Housing Unit (SHU) at Pelican Bay State Prison in Crescent City, California, and approximately 300 male prisoners held in similar conditions at the Corcoran State Prison in Corcoran, California staged a hunger strike in the first two weeks of July, 2001 to protest their living conditions. The prisoners also protested the policies that had led them to be housed in the SHUs. These policies consisted of prison officials identifying inmates of California’s general prison population whom they believed were members or leaders of gangs and moving them to solitary confinement in the SHUs, where prisoners served indefinite portions of their overall sentences. To determine if an inmate was a member of a gang, prison officials relied largely on confidential testimony from other prisoners who were encouraged to “snitch” on fellow inmates. Prison officials would also determine an inmate to be a member of a gang if he interacted with another prisoner who was suspected of being part of a gang, if he signed a birthday card or get well card to a fellow prisoner, of if he assisted another prisoner with legal work. The prisoners demanded that the state change its policy to require that only an inmate who engaged in overt gang related activity in the general prisons be labeled a gang member and punished with an indefinite turn in the SHU. While in the SHU, the prisoners were held in 8 by 10 foot concrete cells and were only released 1.5 hours a day to exercise. The exercise “yard” consisted of a 12 by 24 foot cement cell with a mesh roof twenty feet above. Prisoners were strip searched before entering the yard. Prisoners ate all of their meals in their cells and were only allowed to shower three times a week. While in the SHU, prisoners were not permitted to make any phone calls or have any visitors. They were denied access to educational or training activities, which were available to inmates in California’s general prison population. Prior to 1999, the only ways for a prisoner to be released from the SHU were for the prisoner to be paroled, to die, to go insane, or become an informant on other prisoners. Castillo announced that he would organize a hunger strike of inmates at the Pelican Bay SHU. In his announcement, he wrote, "The main basis for our protest is that CDC refuses to implement clear, fair, and uniform standards for accurately determining whether (or not) a prisoner is truly a gang affiliate or found unsuitable for SHU release based on false, unreliable, or out-right ridiculous information. We have continuously exhausted letter campaigns and administrative appeals to no avail. We cannot get the courts to give our legal challenges the timely and adequate review they deserve. Therefore, we feel we have no other recourse but to strike and bring to public light the severity of the issues." Donald Johnson, another hunger striker, wrote a statement, which was read by his mother on Democracy Now! on July 17, 2001. The statement includes: “There is an alternative to accepting solitary confinement forever. And that alternative is to dissent peacefully against this injustice. For injustice anywhere, even in a solitary confinement prison is injustice everywhere. My food strike protests the use of solitary confinement upon human beings and I protest the use of the debriefing policies of which is coerced confessions via the government, agency of the California Department of Corrections and is diametrically opposed to democracy." The strike began on Sunday, July 1, 2001, with approximately 100 primarily African American and Mexican American inmates at the Pelican Bay SHU refusing their meal trays. Approximately 300 Corcoran SHU inmates did the same. There was a virtual black out in local and national media of this hunger strike. Relatives of the inmates, many of whom lived in the Los Angeles area, did not know that the strike was taking place. On July 2, 2001, the Barrio Defense Committee in San Juan, California, organized a demonstration in front of the Department of Corrections headquarters in Sacramento, California to raise awareness of the hunger strike and to pressure the Department to listen to the strikers’ demands. Other supporting organizations were the Raza Rights Coalition, the San Juan based Chicano Mexicano Prison Project, and the California Prison Focus, based in San Fransisco. One week into the hunger strike, California State Senator Richard Polanco (D - Los Angeles), who was the Chairman of the Joint Committee on Prison Construction and Operations, promised the striking prisoners that he would investigate the situation expeditiously and mediate talks between the prisoners and authorities. In response to this promise, the prisoners decided to stop their hunger strike on July 10, 2001, but promised to resume the strike if their demands were not met by January 2002. Throughout the next year, Senator Polanco convened several negotiation meetings between Correction officials and advocates for the SHU inmates. Some of these meetings took place at Pelican Bay State Prison and involved prison advocates from California Prison Focus. Reports indicate that, although prison officials were receptive to the advocates’ demands, the officials made no promises, and no new changes in policy had been implemented by the summer of 2002. Reacting to this, between 60 and 90 prisoners in the Pelican Bay SHU resumed their hunger strike on Oct. 19, 2002 because their previous demands had not been met. Participation in this hunger strike tapered off, and the last prisoners to refuse food ended the strike at the beginning of the fourth week. These eleven prisoners had lost up to 30 pounds each. During the October-November 2002 strike, prison officials refused to change any prison policy. They said they would conduct an already scheduled review of 1154 prisoners in solitary confinement at Pelican Bay to determine if any men had been sent there erroneously. This review was scheduled to begin in January 2003.